Letting your baby cry his or herself to sleep may not be as bad as you think, says a recent study led by Flinders University. 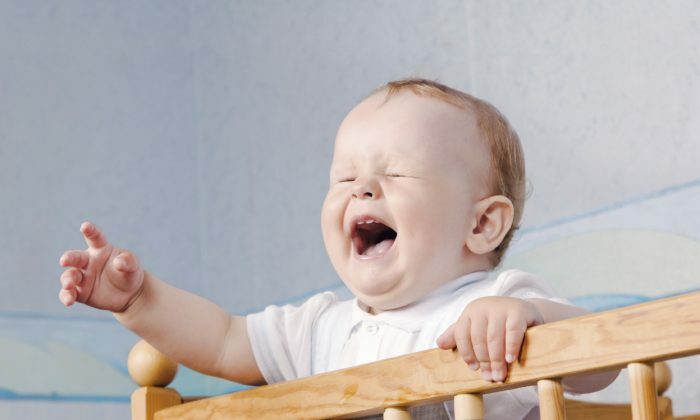 Crying it out (also called “graduated extinction”), and another sleep education method known as “bedtime fading” can improve babies’ and parents’ sleeping routines. Bedtime fading is when parents gradually delay their child’s bedtime each night in an attempt to let the baby fall asleep more easily. “It’s natural for parents to worry about having their babies cry at bedtime,” said Michael Gradisar, a sleep expert and psychology associate professor at Flinders University. We hope parents of children 6-16 months can become more aware of bedtime fading which helps babies fall asleep at the start of the night. “While it’s well documented that sleep deprivation can cause family distress, including maternal depression, we’re hoping these results will add another element to how parents view their responses and how they manage their own and their babies’ sleep behavior,” Gradisar said on the university website. Researchers conducted two common baby sleep training interventions on 43 infants who had trouble sleeping past the age of about 6 months. They were observed while using two methods: crying it out and bedtime fading. Compared to a control group, in which parents did not use any sleep training methods, researchers found that babies under the crying it out method fell asleep an average of 13 minutes sooner and woke up significantly less throughout the night. Is Controlled Crying the Best Way to Get Baby to Sleep? The “crying it out” group also showed no significant difference in stress levels based on salivary cortisol readings of the infants, parental stress or mood, or measurements of parent-child attachment levels. Babies under the bedtime fading method fell asleep about 10 minutes faster compared with the control group, although there was no difference in the number of times the child woke up during the night. The study followed up with the children 12 months later and found no significant differences in emotional and behavioral problems, or in attachment styles. “We hope parents of children 6-16 months can become more aware of bedtime fading which helps babies fall asleep at the start of the night,” said Gradisar. “It may not resolve awakenings during the night so if a child is waking up several times a night, then there is now some more evidence that graduated extinction is a technique that may not be harmful to their child,” he added. For parents interested in trying the sleeping methods, Flinders University provides instructions on how to carry out both sleep training approaches on its website.